Considering Weight Loss Surgery ? 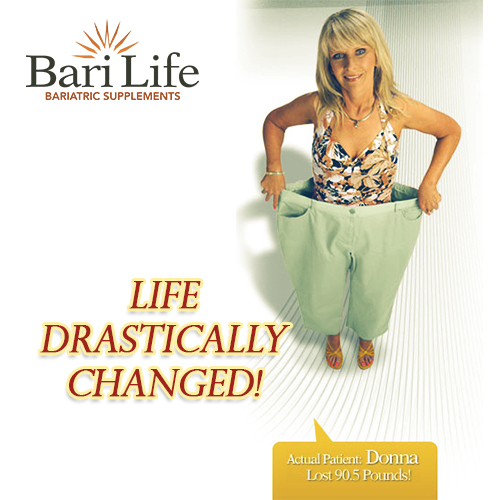 Bariatric surgery is a life changing event. It is important new healthy cycles start after the surgery. Bariatric surgery requires strong nutritional support after the procedure. By physically restricting the amount of food that can be ingested the nutrient depletion rates in weight loss surgery patients has sky rocketed. Having a proper bariatric vitamin and supplement routine is one the critical components for optimal health after surgery. Severe obesity is a national and global epidemic. It is the second-leading cause of preventable death in the United States. Approximately 18 million people in our country suffer from this condition. How do you know that you qualify for bariatric surgery? Bariatric surgery is specifically for those who have a high weight that threatens their life. Anyone who has a BMI of 35 or higher are viable candidates. Typically between the ages of 18-65 can be accepted. Patients older or younger will need to be evaluated on a case by case basis. It is important to note that the bariatric surgeon will ultimately be the final decider on whether or not bariatric surgery is a good option. The bariatric surgeon will be able to calculate the risk and advantages and determine if someone is a fit or not. Patients who are not candidates include patients that have severe mental illness, chronic intestinal diseases, cancer or other serious medical conditions that make surgery too risky. If diet, exercise and other natural alternatives have been exhausted and you still remain obese, bariatric surgery may be able to help you achieve a healthier weight. Pre-surgical counseling is great prior to scheduling surgery to understand the significant life changes that will occur. Remember 90% of bariatric patients see a significant improvement after surgery!